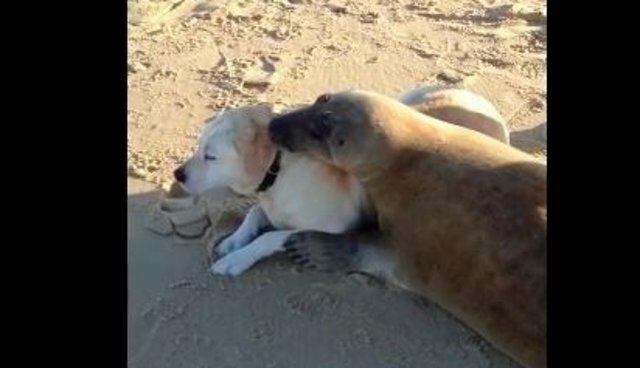 ... and then just lays on his new pal like the most contented seal in the world. 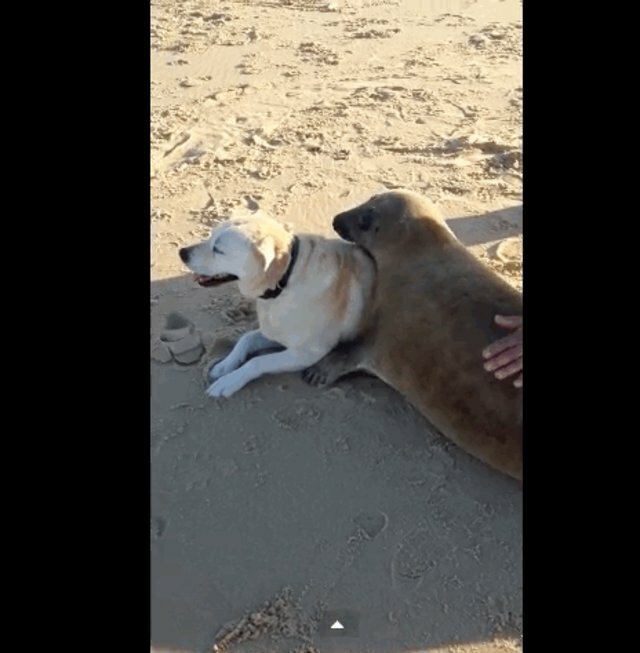 The dog may or may not be as into it. 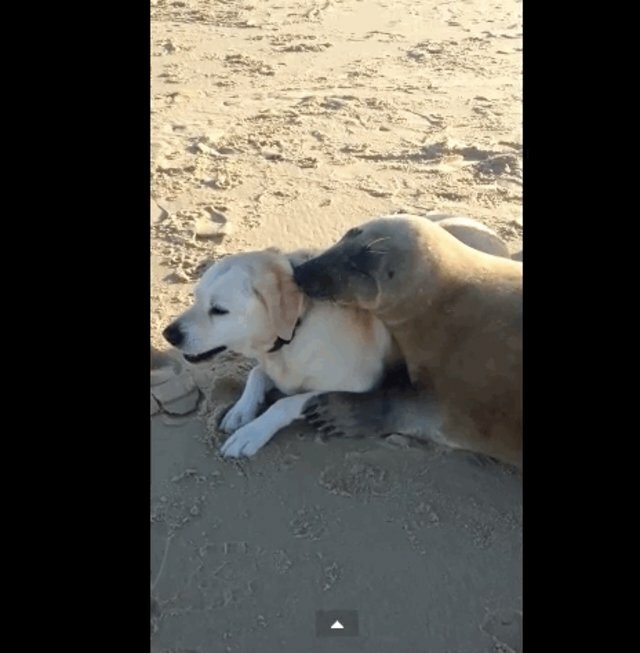 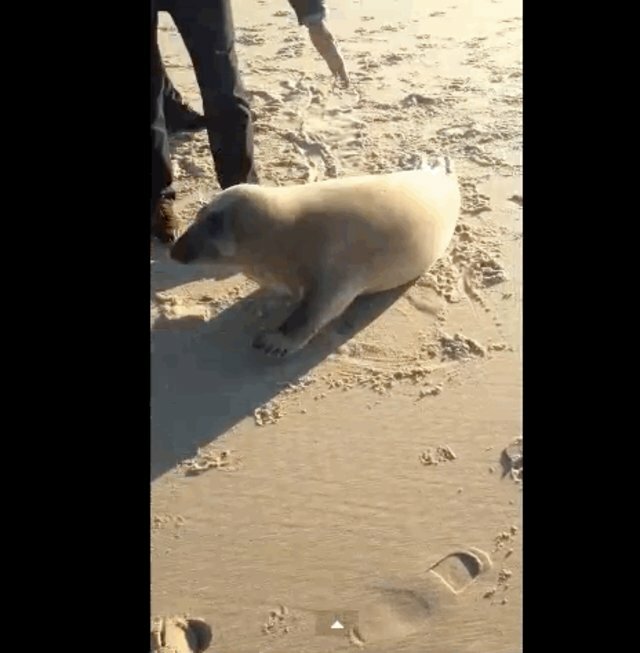 Luckily someone on the beach had a camera, otherwise this adorable moment of interspecies friendship would have gone unrecorded.